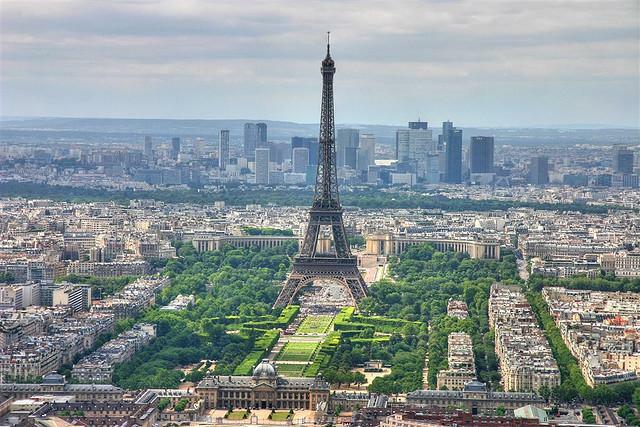 Europe is one of the busiest places for tourists over the summer months, so hopefully you’ll find these tips helpful. If you’re planning to travel out of the country this summer, now is the time to find your passport and make sure it’s valid. Remember that many countries require that your passport be valid for at least six months (some just three months) after your arrival date before they’ll grant entry to their country. It doesn’t matter if you’re only going for a day; if you don’t have at least six month’s validity, you could, and probably will, be denied entry. Tell your bank and credit card company before you leave on your trip that you are going out of the country. Let them know the places you are going and the dates you’ll be away because after all of the credit card hacking, they will put a block on your card(s) immediately and this can put a real damper on your trip. So make a quick call in advance to avoid this hassle..
One of the biggest scams I find major stores committing overseas is after they swipe my credit card and it registers as U.S., they try and make it sound like they are helping me save money when they say, “Oh, would you like to pay in U.S. dollars or euros/pounds (or whatever their local currency is). Paying in U.S. dollars would seem to be the more convenient option, but in reality, it’s not. In fact, it’s a total rip-off, since the stores that do this charge a higher exchange fee than your bank back home does. So, remember to always pay in the local currency of the country you’re in! That quote is directly from Bank of America, which goes on to tell its customers, “one way to limit such fees is to use your Bank of America ATM or debit card at one of our international partner ATMs. This enables you to avoid the Non-Bank of America ATM $5 usage fee for each withdrawal, transfer or balance, as well as the ATM operator access fee.” Here’s a list of Bank of America’s partners. To find your bank, just search their name and international ATM partners. These days, you rarely have to worry about not being able to communicate overseas. People always think I speak multiple languages because I travel so often and don’t have a difficult time doing it. Sadly, I only speak English and I’m not even very good at that. However, I’ve noticed that more and more people are speaking English in the past 10 years (especially the younger generation). During all my travels, I only once ran into a problem not speaking the local language and that was in China. But since then, there’s been a whole slew of technological innovation, including the Google Translate app. It’s free to download and can translate over 90 languages, from Afrikaans to Zulu. Before you start using all of your apps, make sure your cell provider won’t bankrupt you. Before leaving on your trip, call your provider and ask them if you are covered for the countries you are traveling to. If not, either turn your phone off or put it in airplane mode and just use WiFi. If you have T-Mobile, chances are you will be able to get free data and inexpensive phone calls ($0.20 a minute). If you are cruising, follow this advice. Instead of buying multiple individual plug adaptors, with a power strip, you can just buy one (or if you travel a lot, then buy one multi-country adaptor like this one). That way, you can plug multiple cords in and just use one outlet. And that’s key, since a lot of hotel rooms and cabins on cruises only have one or two outlets. Train Validate Ticket11. 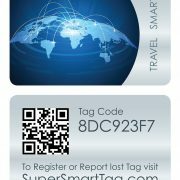 Validate Your Bus and Train Tickets in Europe. 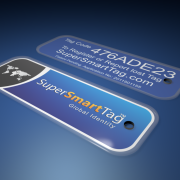 Be sure to attach one of our Tags to your luggage this could save you from a very disappointing experience.